Emtelle produces a very small, lightweight, extremely robust passive infrastructure system based on microducts, into which fibre units are later blown. Emtelle also produces blowing equipment and accessories, and offers extensive training in both installation & maintenance and design & engineering. Emtelle’s FTTh solution reduces both installation and ongoing costs – ducts and tube bundles can be laid in preparation for fibre, which is blown into the ducts to supply service only when needed. From SMEs and blue chip corporations to the public sector and education, Emtelle’s in building solutions provide the products and accessories for building a reliable, high speed, in building data connectivity. 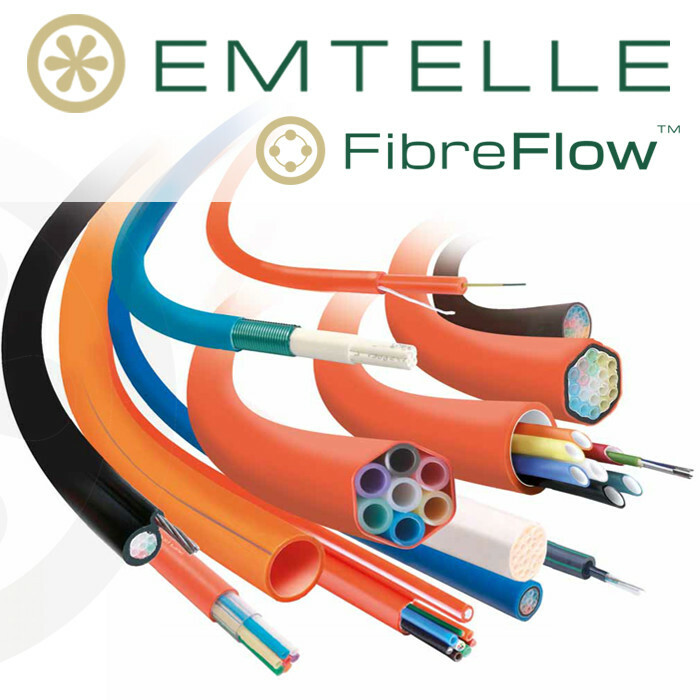 Emtelle’s FibreFlowTM range of blown fibre products reduce both installation costs and on-going expenses for high-speed voice and broadband solutions.